Obliged About How To Tie A Tie!! Worry Not!! Here Are A Few Easy Ways! Fashion Clothing Obliged About How To Tie A Tie!! Worry Not!! Check This Out! Obliged About How To Tie A Tie!! Worry Not!! Check This Out! It is a common perception we have in mind that men don’t have many fashion options as women do. But it is a wrong perception as they can experiment on a lot many things if they have the desire to be fashionable and if they wish to stand out from the crowd but all it needs is some effort by them. When it comes to men’s clothing the suits are the classiest choice that many men opt as they will suit any professional and personal occasions. A suit doesn’t look perfectly professional when it is not accessorized with a tie. Many skips to use this amazing accessory as they don’t know how to tie a tie. But we are here to get you out of the oblige situation as we are here to teach you and make you learn the easiest ways to tie the tie knots. Just get a tie into your hands and get a neck for rent or you can also try on your own neck. So, here we provide you some of the easiest and different classy ways to tie a tie knot. We have put together some of the classiest and most popular types of tie knots that you must give a check in your earlier stages of learning to tie a tie knot. So, let us begin with the simple tie knot that many people struggle to learn. The simple tie knot for everyday office is a must learn tie knot and you cannot just escape from this knot in the process of learning to tie a tie knot. Follow these simple steps for that. 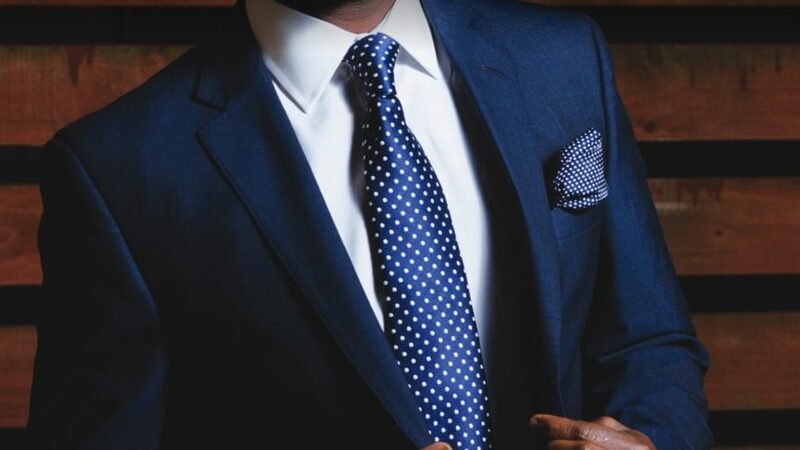 Keep the tie around your neck with the wider end of the tie on your right side and the narrow end of the tie on your left side with about a few inches above than the other side. Now bring the wide end to your left-hand side with the narrow from above the narrow end. Hold these two pieces near your neck. Now bring the wide end to your right-hand side by tucking it from below the narrow end part of your tie. Then cross the wide end over once again from the top of the narrow end part of your tie and make sure. Now you need to pull the wide part of your tie through the neck loop and then insert it in the front horizontal knot carefully. Now finally tighten the knot by sliding the front knot up while you hold the narrow end of your tie. To give you a quick and easy understanding, here is a simple how to tie a tie YouTube video tutorial. You will get to know how to tie a tie easy. While you are trying to learn how to tie a tie, how can you miss learning how to tie a tie, Windsor. Follow these simple steps to know how to tie a double knot. Like the earlier ones the basic thing you should do to begin the process of tying the tie is just wrap it around the neck with the wide end on the right side and narrow end on the left side with about a few inches above the other part. Now bring the wide end through the neck loop from below the narrow part of the tie and bring it out to the left side. Then bring the wide end of the tie to the right from the left side from below the narrow part and bring it through the neck loop from the outside. Then bring the wide part of the tie to the right side through the neck loop. You can find the base of the Windsor knot formed there. Now wrap the wide end from right to left and pull it from underneath the knot through the neck loop. And then take the wide end through the knot. Adjust the knot finally by tightening it. So after you have learned how to tie a tie Windsor, this half Windsor know will be easy for you, why leave, just try it. Here is how you tie a tie half Windsor. Just place the tie around the neck with the wide end part of the tie to the right side and narrow part to the left side. Now cross the wide end part from over the narrow part to the left side. Then bring the wide end from under the loop to the right side and then pull it through the neck loop from and bring it out through the left side. Now take it to the right side again from above the narrow end of the tie and pull it through the neck loop. Then bring the wide end through the tie knot. Tighten the knot by adjusting the knot while holding the narrow part of the tie. So, this is one such a nice professional looking knot that you must give a try. Begin with placing the tie around the neck with the wide part on the right side of the neck and narrow part to the left side. Now take the narrow part and cross it over the wide part from above. Then take the narrow part through the neck loop from the downside and bring it back from the neck loop from the outside. Then take the narrow part from under the wide part and then loop it through the neck loop. Now bring it from the downside of the tie knot to the right side to form a heart. Now cover the heart from with the narrow part and take it through the neck loop and pull it through the knot to the right and keep the knot loose. Then take the narrow part from under the wide part and then bring it through the loose knot. Adjust the knot and tighten it a bit to bring it on shape. You cannot be and don’t have to be official everywhere. A tie isn’t just worn for official meetups or official purposes but can also be tried for casual meetings or parties where you wear a suit. But going with a regular simple tie knot for parties and other casual meetings may not be a good idea. In such situations, you can opt for this Eldredge knot which looks different and will grab everyone’s attention for sure. So, you may be regularly facing these kinds of obligations where you will have questions about how to tie a school tie, how to tie a fancy tie. Stop worrying as these are the basic things that can help you in getting distinction in this art of tying the tie and we wish you excel in it. Learn these different type of tying a tie and amaze the people around you.